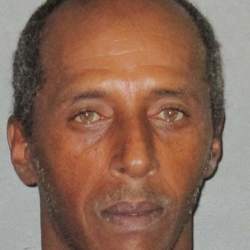 An East Baton Rouge Parish sheriff’s deputy shot and killed Anthony McKinney, 46, who was stabbing a woman at a home on Maplewood Drive on Saturday, September 26, 2015 authorities said. The man who was killed was previously arrested Sept. 22 on domestic abuse battery with child endangerment, as well as aggravated assault, and had just bonded out Friday night, according to a spokeswoman for the Sheriff’s Office. The woman who was stabbed was at a local hospital in critical condition with multiple stab wounds, police said. She said McKinney had been released on $1,500 bond. East Baton Rouge Parish sheriff’s deputies were dispatched to the house after the victim made a frantic 911 call screaming for help shortly after 3 p.m., police said. Shots were fired when an officer made entry in the residence and was confronted with a person armed with a knife.